for some reason but this is the Widescreen version. And his west all to himself! 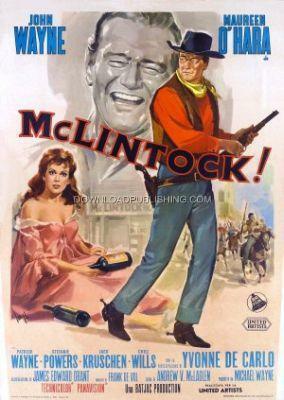 George Washington McLintock (John Wayne), a Wealthy Cattle Baron in the Mesa Verde Region of Colorado, Has to deal with his High Society Wife (Maureen O'Hara), his spoiled Daughter (Stefanie Powers), Homesteaders and Indians that are crowding him in.